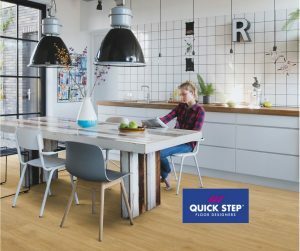 New for 2018 by Quick-Step, the renowned Laminate, Vinyl and Wood flooring manufacturers, is Waterproof Laminate Flooring. 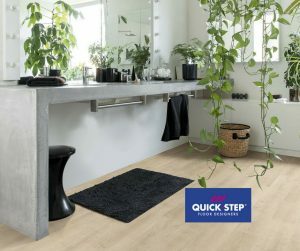 Quick-Step have introduced an innovative ‘HydroSeal’ water repellent coating to their laminate floors, and have hence created the first truly waterproof laminate flooring in the world. The HydroSeal coating eradicates moisture problems and makes the flooring not just waterproof, but also sealed from everyday bacteria, dirt and spillages. 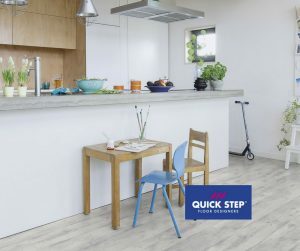 Added to this is the Scratch Guard top coating meaning the Quick-Step laminate floors are up to 10 times more resistant to scratches that most other laminate floors. 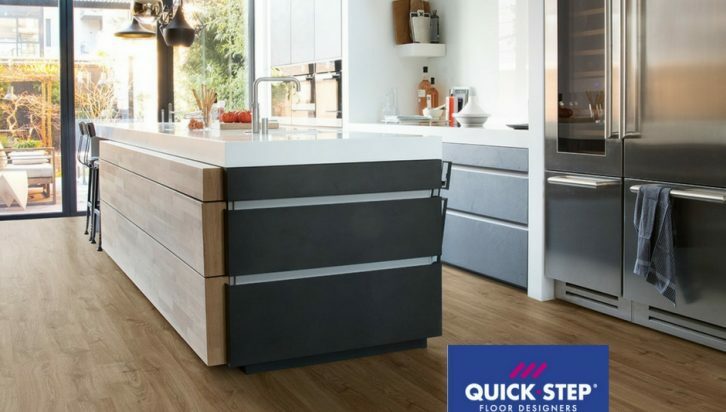 The fine detail you have come to expect from Quick Step is not compromised – providing the same natural effects as before. 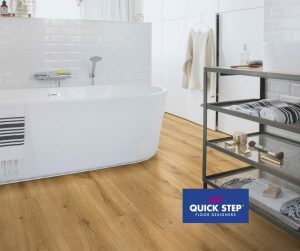 The waterproof laminate flooring is also easier to clean as a result of the HydroSeal coating, making this a very practical as well as stylish floor solution. 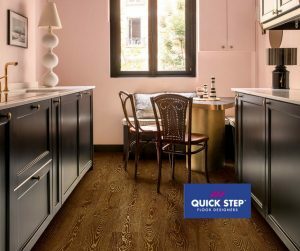 Quick-Step laminate floors come with a guarantee for up to 25 years – ensuring a hard wearing, long lasting, stylish floor solution for your home. 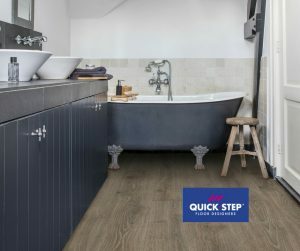 The great news is, the new range of Quick Step Waterproof Laminate flooring is available via your local branch of Fludes Carpets Ltd.
Our branches are situated in Sussex and Dorset in the following towns: St Leonards, Eastbourne, Newhaven, Brighton, Haywards Heath, Bournemouth & Boscombe. Contact Fludes today for information on this fabulous flooring solution.